James Bradley is the son of John Bradley, and I recently had the pleasure of attending a series of lectures given by him on the subjects of his four books dealing with World War II and the history leading up to it. Mr. Bradley’s first lecture dealt with his experiences writing his first book “Flags of Our Fathers”. As he spoke, I was immediately struck by the similarities of his experiences with his father and my experiences with mine. Neither of our fathers was willing to speak of their war experiences and it wasn’t until after their deaths that personal documents were found that led James and I to write books about their experiences. James knew he had a bestseller in “Flags of Our Fathers”, but it appeared he was the only one who felt that way. Over a period of twenty-five months he submitted his book to twenty-seven publishers and was turned down by all of them. As a lesson to all authors, James had faith in his book during his quest to find a publisher and eventually Bantam Books agreed to publish it. 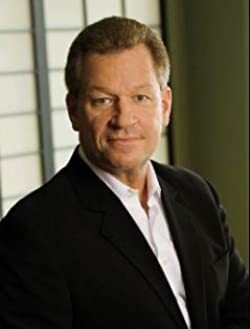 His faith was rewarded when the book became a bestseller and was made into a movie produced by Stephen Spielberg, Clint Eastwood and Robert Lorenz. 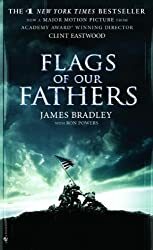 “Flags of Our Fathers” chronicles the stories of James’ father John and the five other Marines who raised the flag over Iwo Jima and is well worth the read. Bradley’s second lecture dealt with his second bestselling book “Flyboys”. The idea for this book came when a veteran of World War II who fought in the Pacific told James that the U.S. government never revealed the beheadings of eight American airmen on the Japanese island of Chichi Jima which is located very close to Iwo Jima. After researching the facts, Mr. Bradley wrote “Flyboys” where he revealed the fate of the eight airmen when they were shot down attacking enemy emplacements on Chichi Jima. A ninth airman participating in the attacks was also shot down, but was rescued. That airman was George Herbert Walker Bush the 41st president of the United States. Upon meeting President Bush, Mr. Bradley was told the president had been unaware of the fate of his fellow airmen. 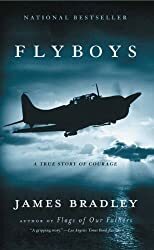 I highly recommend “Flyboys” as an interesting and provocative insight into the air war in the Pacific. After writing his first two books, Mr. Bradley began to wonder why his father and many other Americans had to spend part of their youth fighting the war in the Pacific. What were the origins of their involvement in World War II. 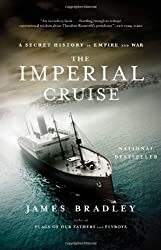 His curiosity led him to research history and resulted in the writing of “The Imperial Cruise”. This book deals with the efforts of President Theodore Roosevelt to extend America’s influence into the Pacific and provides a challenging argument on how this turned out to be one of the causes of the attack on Pearl Harbor in 1941. Mr. Bradley’s fourth lecture dealt with his latest book “The China Mirage” which has recently been released. In this book, he continues his analysis of America’s influence in Asia, most particularly in China. 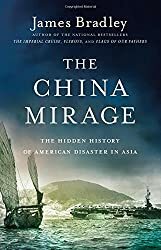 He explains how clever the Chinese were in managing American perceptions and how American businessmen profited from the opium trade in China. He points out how the powerful Chinese lobby made the embargo of Japanese oil and the freezing of their assets possible which led to the bombing of Pearl Harbor. In this book, Bradley summarizes his points on why his father and millions of others became embroiled in fighting wars in Asia. After his lectures, I had the opportunity to chat with Mr. Bradley. In discussing his writing career, he stressed the importance to him of having an agent as well as access to good editing and proofreading people. His main advice for writers is to determine your most productive period of the day and stick to a strict writing schedule during that period. I found Mr. Bradley to be congenial and helpful, and his lectures were interesting and informative. I look forward to his future books and wish him the best of luck. ← Journalist Eric Sevareid’s career nearly ended in the Burmese jungle of the China-Burma-India Theater during World War II.